Gillian "Tom was very knowledgeable and had a great sense of humour. David is a story- teller par excellence. Both guides quickly got the feel of what interested our group and while mostly following the set itinerary included a few side trips that were well worth while. They stopped for photo opportunities when requested and did not forget bathroom breaks! We felt very safe with their driving on the ve..."
Start and end in Edinburgh! With the in-depth cultural tour Mull, Iona & Skye (Small Group), you have a 5 day tour package taking you through Edinburgh, Scotland and 15 other destinations in Europe. 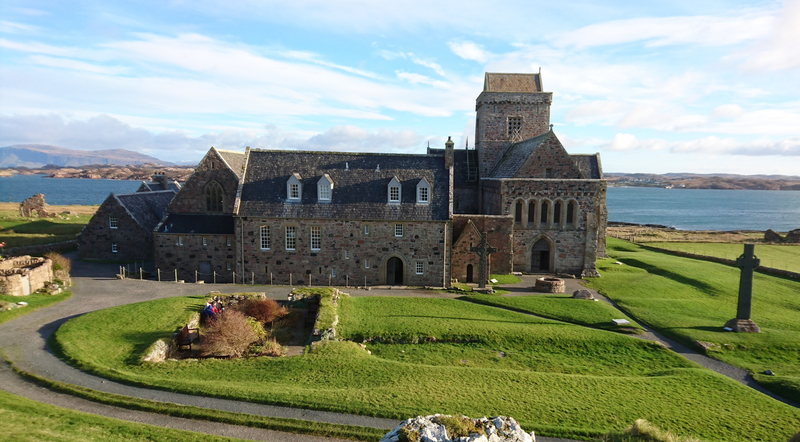 Mull, Iona & Skye (Small Group) is a small group tour that includes accommodation as well as an expert guide, meals, transport and more. The country side is gorgeous and Tommy has a real feel for how to show and explane what we are seeing. Very entertaining and knowledgeable. The tour was excellent, the accommodation excellent,the drivers were professional and knowledgeable,and the coaches were comfortable. Tommys music was a bit loud. Fergus' was just right. Thoroughly enjoyable, though the weather was mostly pants. TourRadar only requires a deposit of $99 to confirm this Highland Experience Tours booking. The remaining balance is then payable 60 days prior to the departure date. For any tour departing before 25 June 2019 the full payment of $669 is necessary. No additional cancellation fees! You can cancel the tour up to 60 days prior to the departure date and you will not need to pay the full amount of $669 for Mull, Iona & Skye (Small Group), but the deposit of $99 is non-refundable. If you cancel via TourRadar the standard cancellation policy applies. TourRadar does not charge any additional cancellation fees. You can cancel the tour up to 60 days prior to the departure date. If you cancel your booking for Mull, Iona & Skye (Small Group) via TourRadar the standard cancellation policy applies.